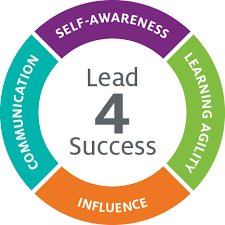 Have a Question on Lead 4 Success? Is this leadership program right for you? CCL’s comprehensive approach to learning. Develop your core leadership skills. Is Lead 4 Success the right program for you? I really enjoyed the program! It was a great opportunity to learn new perspectives and tools to evolve as a leader. The activities were memorable and helped illustrate points, and the table conversations and 1-on-1 allowed for deeper discussion and sharing of real world, personal examples. This comprehensive three-phase approach to learning includes a pre-program self-assessment, two days of face-to-face experiential learning and application back in the workplace. Prior to attending, participants complete the Lead 4 Success Assessment. Self-Awareness: How do I use the principles of self-awareness to make conscious decisions about my leadership behavior? Learning Agility: How do I continuously seek, make sense of, internalize and apply lessons from a variety of resources? Influence: How do I increase my leadership influence by building trust and leadership networks to lead others? Communication: How do I use active listening, feedback and vision to provide sound direction, firm alignment, and dedicated commitment? Accountability partner sessions are scheduled following the program to sustain momentum and promote follow-through on learning goals set during the program. Who Should Attend Lead 4 Success?